121nexus executive vice president and chief operating officer Heather Ryan. 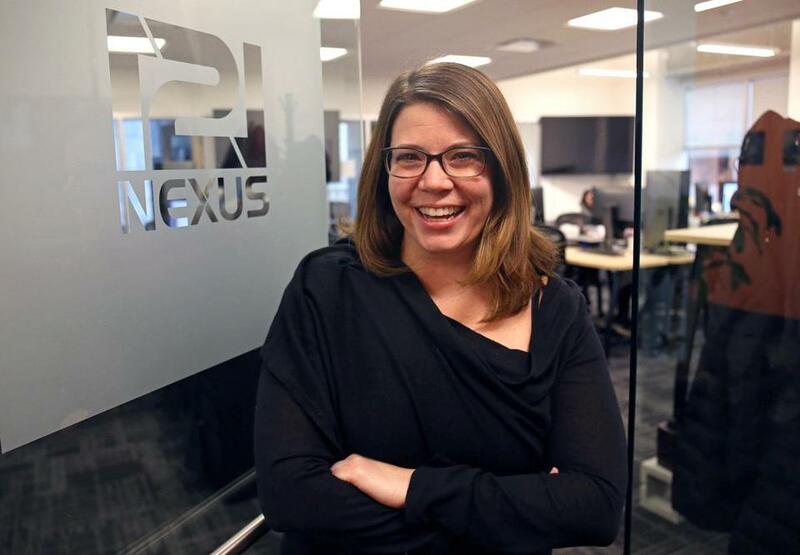 When the Harvey Weinstein sexual harassment scandal erupted last fall and sparked the #MeToo movement, the all-male executive team and board of directors at the small Boston tech firm 121nexus knew things needed to change. They turned to their highest-ranking female employee for assistance, and the company has since hired three female managers, worked to create a more inclusive culture, and addressed gender pay inequities. Earlier this month, the woman who helped lead the charge, Heather Ryan, became the company’s executive vice president, chief operating officer, and first female board member. The #MeToo movement and resistance to President Trump have put the unequal treatment of women in the workplace in the spotlight. And as public outcry spreads, corporate America is slowly responding. According to a February survey of more than 1,300 recruiters nationwide conducted by the Boston recruiting marketplace Scout Exchange, 80 percent of recruiters said they had seen an increase in the number of requests for female executives over the previous 12 months. Since October, when the Weinstein scandal broke, there has been a 41 percent jump in cases in which women have beat out men for executive-level jobs, according to Scout’s analysis of thousands of hires during that time period. Even the tech industry, a bastion of male-centric culture, is stepping up to hire and promote more women. Greenhouse, a New York- and San Francisco-based talent acquisition software firm used by Airbnb and Pinterest, last year implemented its own version of the NFL’s Rooney Rule, which requires teams to interview at least one minority candidate for head coaching jobs. Greenhouse’s version requires that half the final candidates for an executive job be women. The executive team at the 230-employee company is now 40 percent women, up from 25 percent a year and a half ago. The business community is also opening up about its gender disparities and its attempts to address them. Apple, Google, and other companies publish breakdowns of their workforces by gender, ethnicity, and age. The Cambridge software firm HubSpot recently said that its vice presidential team is now 46 percent women, a 20 percent jump from a year ago. The Boston marketing software company Salsify released data earlier this month showing that it went from no female senior leaders in its first two years of operation, 2012 and 2013, to three this year — a third of its leadership team. Industry analysts and investors have also started asking companies about the gender balance of their executive teams. Companies aren’t necessarily attributing their actions to recent events, and indeed, the move toward gender equality has been going on for several years. But the push for more female leadership — often cited as a way to combat sexual harassment by creating cultures that are welcoming and empowering for women — has accelerated. Currently, 5 percent of CEOs and a quarter of senior managers at the 500 largest publicly traded companies are women. Even simply increasing the number of female employees can help. A recent Pew Research Center study found that half of women in mostly male workplaces say sexual harassment is an issue, compared with 32 percent of women in mostly female workplaces. But changing a company’s culture is no easy task. At 121nexus, management went so far as to look at who was getting the most out of the company’s health care benefits. Because the company had more male senior leaders, who tend to be older and more likely to have families on their plans than its female workers, the company was paying higher insurance premiums for its male employees. Hiring more high-ranking women helped balance this out, but until the company started pushing recruiters to present more diverse applicants, they just kept sending the usual male suspects, said chief executive Charlie Kim. Research has long shown that companies with more diverse leadership perform better financially, but some companies that highlight their commitment to equality haven’t done much to become more equitable, said Scully, the Eastham consultant. Often, companies have a sole woman on the board or executive team, in many cases in human resources or marketing roles that typically aren’t pathways to the corner office. Some note that the #MeToo movement could work against women. A majority of employment lawyers responding to a national poll conducted by the Employment Law Alliance said they are concerned that a backlash could prevent more women from being hired or promoted. Many organizations are “frozen,” said Jodi Detjen, a Suffolk University management professor who runs a consulting firm and belongs to the Boston Club, which works for the advancement of female leaders. Not only are male executives nervous about how to behave around women, she said, they are unsure how to go about changing longstanding practices. Progress, one of the oldest software companies in New England, has hardly been progressive when it comes to women. But it just added two women to its board of directors — the first female directors in its 36-year history. CEO Yogesh Gupta said that the board intentionally sought diverse candidates and that it would do the same for future openings on the executive team, which currently has only one woman. The events of the past year aren’t the reason for these hiring moves, Gupta said, but they may have had an indirect effect.